The book was climactic more than anything, The beginning was slow but heartfelt and relatable. It was an incredible payoff at the end with a shock and the beginning of a new form of character development for Spensa. It easily set up a series for the future and set impossible odds against them. But even with the fantastical science and some form of magic the story is relatable and even applicable to modern life, addressing real societal concerns. I loved the book and hope everyone at my school will too. 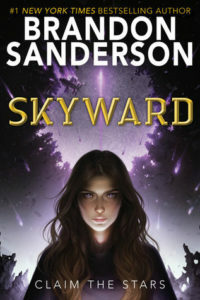 Thank you Brandon Sanderson for doing what you love and giving us the masterpiece that is Skyward.